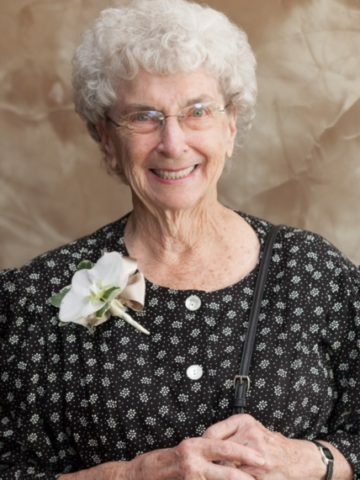 Wanda Craig, December 2, 2017, age 87 of Goodlettsville. She was preceded in death by her husband, Jack Craig. Survived by her children, Mike Craig, Dawn (John) Bertotti, Bob (Gayle) Craig, Terri (Ronnie) McCoy, and Linda Craig; twelve grandchildren and eleven great-grandchildren. Wanda was a person who never met a stranger, and had a great sense of humor, even up to the very end. Visitation will be at Cole & Garrett Funeral Home, Goodlettsville Friday from 4-8 pm, and on Saturday from 1pm until service time at 2pm with interment to follow at Forest Lawn Memorial Gardens. In lieu of flowers, donations may be made to Northcrest Hospice. So sorry for your loss. Prayers that you all will find peace and comfort from great memories of past times. sorry she is gone,will miss seeing her in the yard as we go by her house and at krogers.. I am so sorry to hear that your Mom Passed Away. I will keep the Family in my Prayers. We are so sorry to hear of your Mom’s passing. Wanda and I had lots of good talks on the phone and emails. Prayers and thoughts for you all at this time.